Attend the Albany UU Get Connected Activity Fair on Sunday October 21 and find out what you might be missing out on. Come to Community Hall after the service to talk with representatives of literally dozens of activities taking place at Albany UU – from Gardening, Wine Tasting, Stewardship, Religious Services, Religious Education, Receptions, Endowment Trust, Social Justice, Book Club, to Interfaith Impact, Choir, and many, many more! 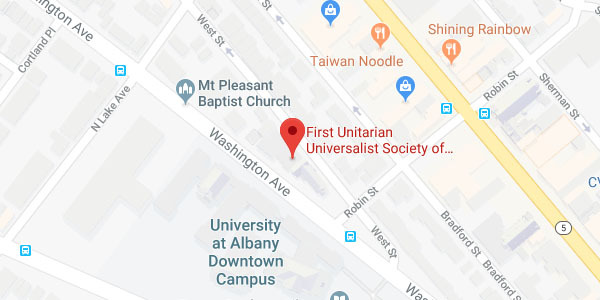 Not only will you can learn about the many activities but also how you can benefit from getting involved; deepening your personal connections within our Albany UU community, having fun, learning something new, helping others. There is a volunteer opportunity to match every interest. Committees, please let Paula (pgmosk@earthlink.net or 518-439-6347) or Barb (barbaracmanning@hotmail.com or 518-439-4226) know if your group will be represented. To make the whole experience more fun, there will be “raffles” to participate in – one for kids and one for adults. Stay tuned for more!